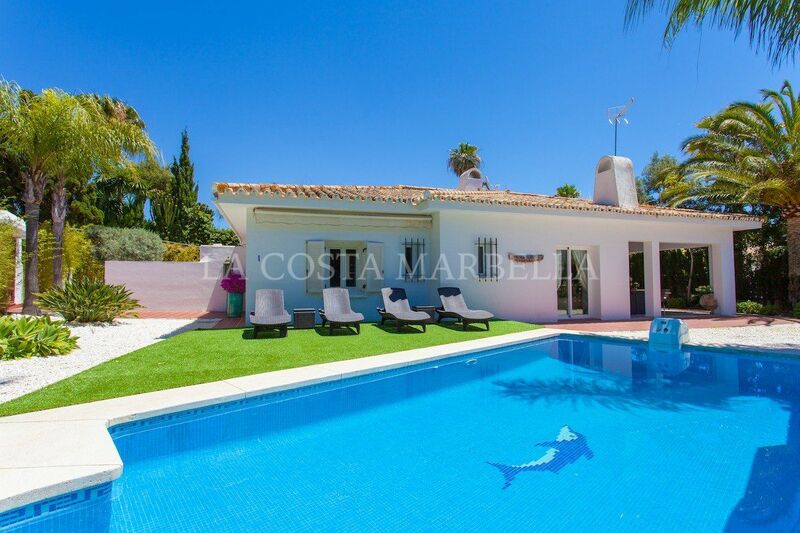 One of the most premium and top quality real estate projects in Marbella, Villa Copal stands out by the high quality materials, stunning design and best location on Costa del Sol. The villa is ideally situated in Los Monteros, an exclusive residential area made up of elegant and luxury villas, that benefits from 24-hour security in a gated community. It is located next to Los Monteros Spa & Golf Resort Hotel 5* and also close offering breathtaking views to the mountains. 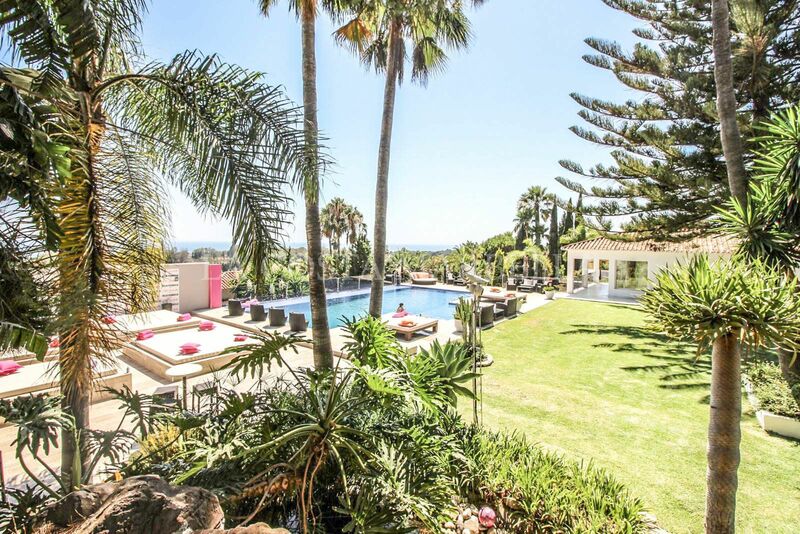 The residence is settled in a peaceful environment only five minutes walking distance from the beach, a ten minutes drive from Marbella centre and thirty minutes’ drive from Malaga airport. 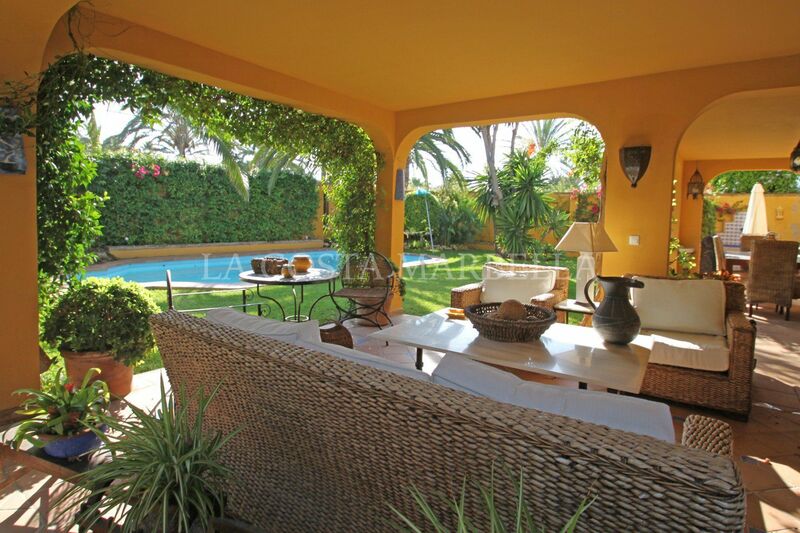 It is also fifteen minutes away from Puerto Banus and its vibrant nightlife. Villa Copal has been conceived using clean lines, open spaces and best quality materials. Thanks to the seamless integration between living areas and outdoor spaces, and the south facing orientation, the villa is provided with natural light that bathes the interiors and terraces. The villa has three levels and outdoor area with swimming pool, outdoor open living room and sun-beds area. On the ground floor, the main entrance and large hall opens to a spacious living room with fireplace, dining room and independent top design kitchen. The living room has also cinema that is normally hidden in the ceiling and can be set up when desired through a modern and easy automatic system. The living area integrates seamlessly with the outside through full height sliding windows. The ground floor also includes one bedroom with en-suite bathroom, study (that can be transformed into an additional bedroom), and guest toilet. The high ceilings and the south facing orientation ensures light to access during the whole day. The whole floor has large windows that look out the garden and swimming pool. Both the kitchen and the living room has direct access to the outdoor pool. The first floor features the breathtaking master bedroom suite, luxury bathroom with outdoor shower and bathtub, fireplace and private terrace of 36.8 m2 with splendid views to the swimming pool. Two more en-suite double bedrooms can be found in the first floor with ensuite bathrooms and direct access to a private orchard. On the rooftop level, the chill out area, outdoor fireplace and private bar, with fantastic views to the Sierra Blanca mountains and to the swimming pool and garden. There is also an extensive solarium with private jacuzzi and sun deck area. The big open space offers a huge gym area and one bedroom might be built.The basement also benefits from natural light via large windows set high into the walls.The basement area also includes laundry room and storage room. 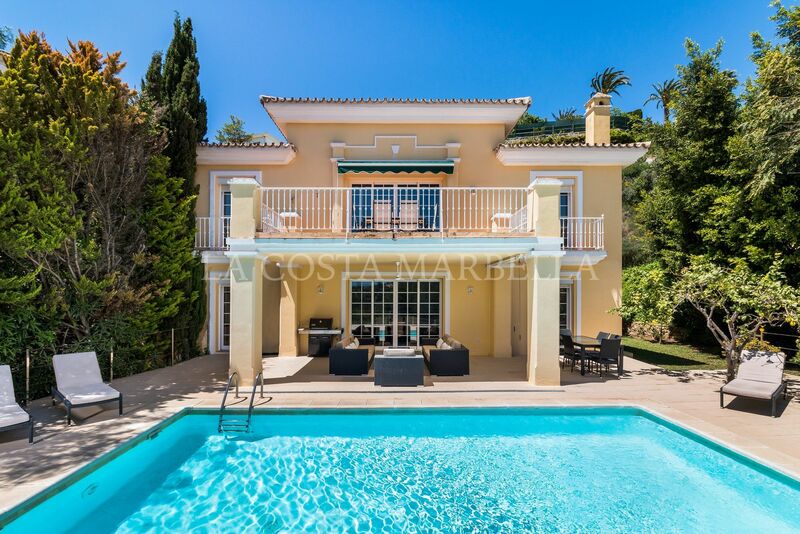 Please, send me more information about ref MAS327507, Villa in Los Monteros, Marbella East or similar properties.